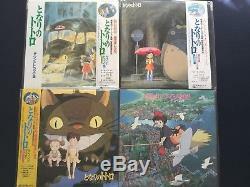 COMPLETE GHIBLI LP COLLECTION - SOUNDTRACK - VINYL - 7 ALBUMS SIGNED BY JOE HISAISHI. 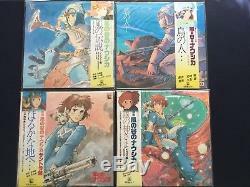 NAUSICAA, 4 LP + 1 Single. Soundtrack: ANL-1020 / Animage / 1984 -> SIGNED. Image Album : ANL-1013 / Animage / 1983. Symphonic : ANL-1017 / Animage / 1984. Drama : ANL-1901 / Animage / 1984. Single : ANS-2008 / Animage / 1984. LAPUTA, 4 LP + 1 Single. 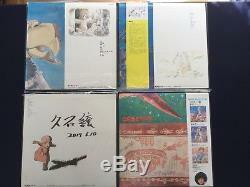 Soundtrack: 25AGL-3025 / Animage / 1986 -> SIGNED. Image Album: 25AGL-3024 / Animage / 1986 -> SIGNED. Symphonic: 28AGL-3039 / Animage / 1986. Drama: 19AGL-3029 / Animage / 1986. Single: 7AGS-7 / Animage / 1986. 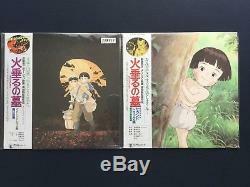 GRAVE OF FIREFLIES, 2 LP. Image Album: 25AGL-3054 / Animage / 1988. Drama: 25AGL-3059 / Animage / 1988. 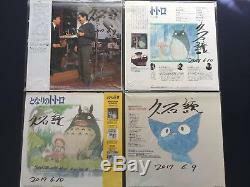 TOTORO, 3 LP + 2 Single. Soundtrack: 25AGL-3058 / Animage / 1988 -> SIGNED. Image Album: 25AGL-3053 / Animage / 1987 -> SIGNED. 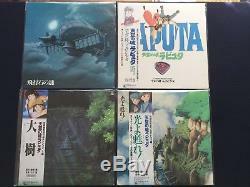 Sound Book: 25AGL-3062 / Animage / 1988 -> SIGNED. Single 1: 7AGS-12 / Animage / 1987. Single 2: 7AGS-14 / Animage / 1988. 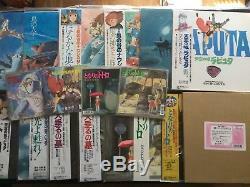 Soundtrack: 35AGL-3067 / Animage / 1989 -> SIGNED. 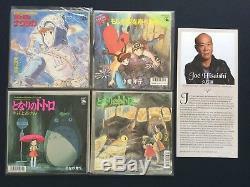 Covers was signed by Joe Hisaishi during his concert in Paris 2017. 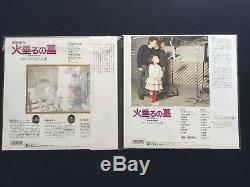 Albums are in very good condition. Please send me a message if you have any question. 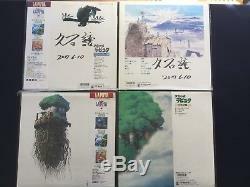 The item "14 GHIBLI LP Vinyl Signed by Joe Hisaishi Hayao Miiyazaki autograph totoro kiki" is in sale since Sunday, September 9, 2018. 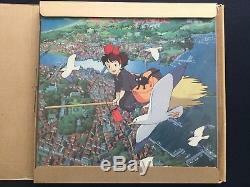 This item is in the category "Musique, CD, vinyles\Vinyles". 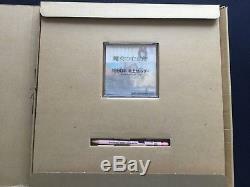 The seller is "rarity_art" and is located in FR.